1984 released two singles for Big T records in 1969 (This Little Boy b/w Rosalyn / I've Got To Have Your Love b/w Here We Are). All four commercially-released songs were written by songwriter Colin Rickards, a songwriter who worked for Planetary-Nom music publshers. 1984 originated from Essex. 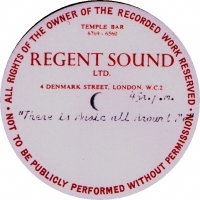 They recorded several demos at Regent Sound studios in Denmark Street, London. Their recordings were produced by Philip Swern and John Palmer. A later single appeared on Decca, but this has not been confirmed as being by the same band. Paul Prewer went on to join The Rubettes before signing with Penny Farthing records (Larry Page) and embarking on a solo career as Paul Da Vinci. Special thanks to the Purple Heart Archive. 2011.